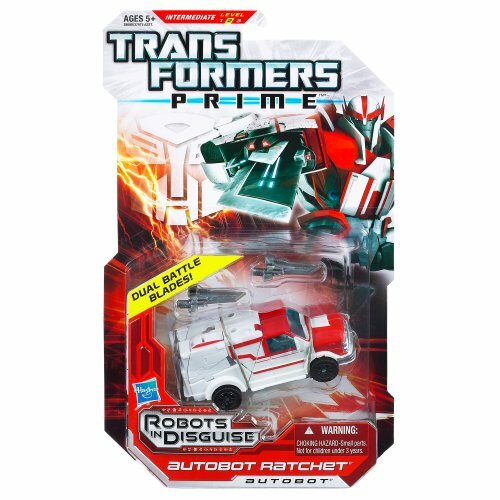 Just because AUTOBOT RATCHET chooses to avoid fighting doesnt mean he never learned how. 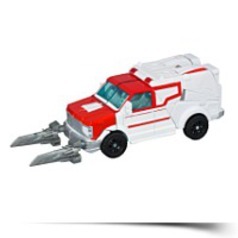 In robot mode, your AUTOBOT RATCHET figure has dual battle blades, so hes a twofisted threat in combat. 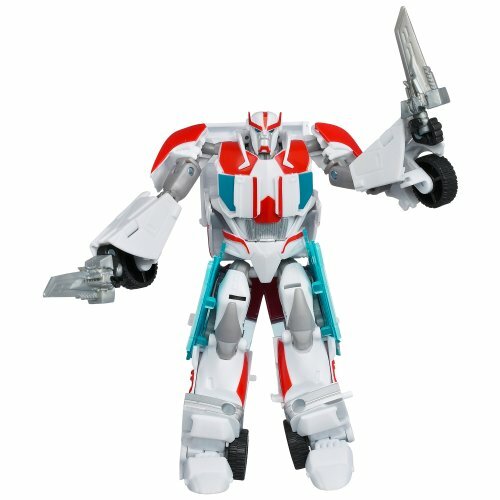 Your fierce AUTOBOT RATCHET figure is ready to make big trouble for the DECEPTICONS*! 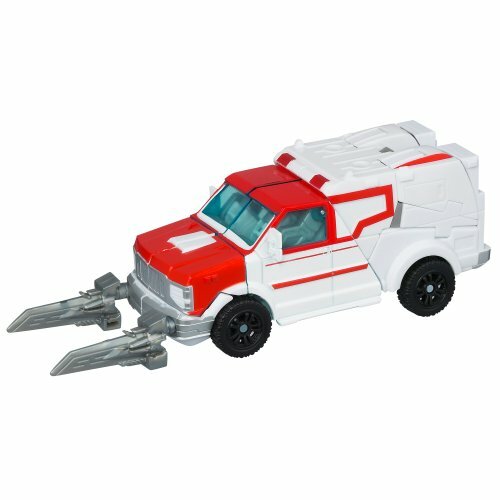 Convert him to ambulance mode when he has to rescue one of his AUTOBOT comrades! Includes figure. His intimate understanding of anatomy makes it possible for him to strike with surgical precision, creating a fight against him a very painful losing proposition. Keep converting him back and forth so he can handle whatever his enemies throw at him! Package: Height: 2.6" Length: 12" Width: 7"